Try these attractive ways to offer milk and sugar at your table. Additional cream and sugar sets can be found in the groups under "Teasets". The Maxwell Williams Krinkle sugar bowl with lid holds 10 oz., 300mL. Made in China. The Maxwell Williams Krinkle creamer holds 10 oz., 300mL. Made in China. 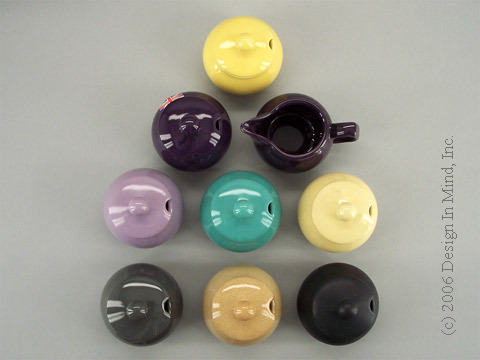 Pristine Pottery Creamer/Sugar bowl sets. 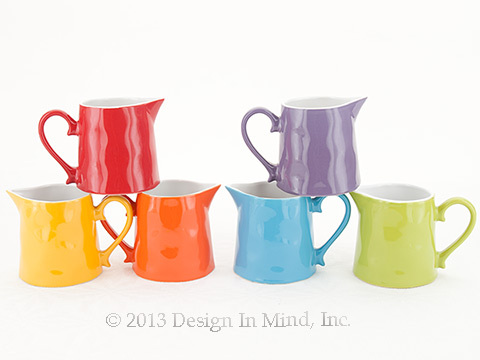 Shown are the remaining colors we have available for the creamer/sugar bowl sets. Colors are listed from the top of the photo left to right. MW Cow Creamer, 7 oz., 200mL. 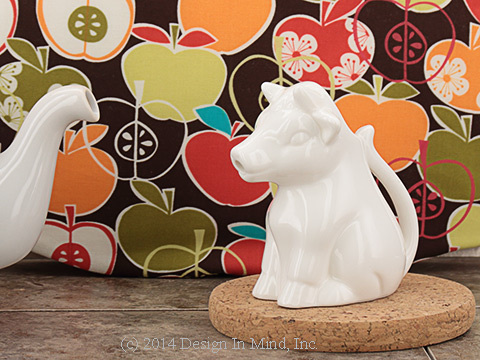 Here is a cordial cow to hold cream or milk for your morning tea or coffee. Maxwell & Williams, porcelain; microwave and dishwasher safe. Made in China.